The December inspired me to style all of my red staples which really got me into the holiday spirit. 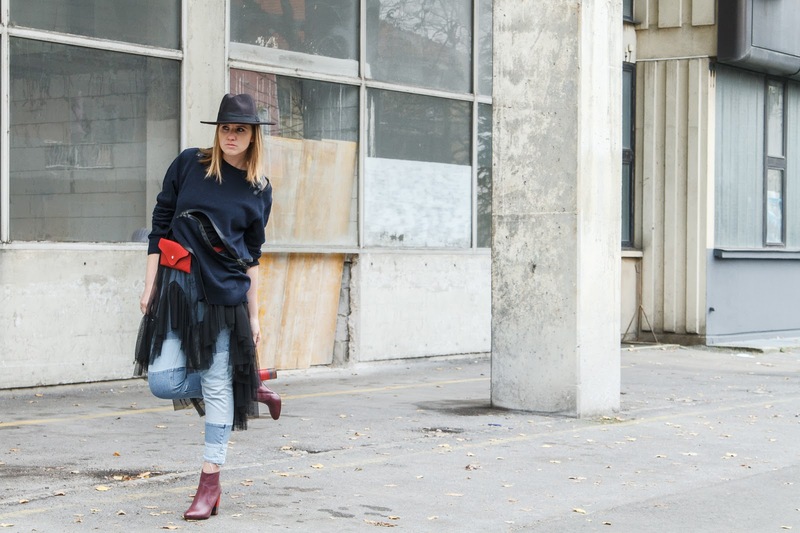 I paired the red belt bag from Zaful with a black see-through dress from Zara and I layered it with my favourite dark blue zipper sweater. 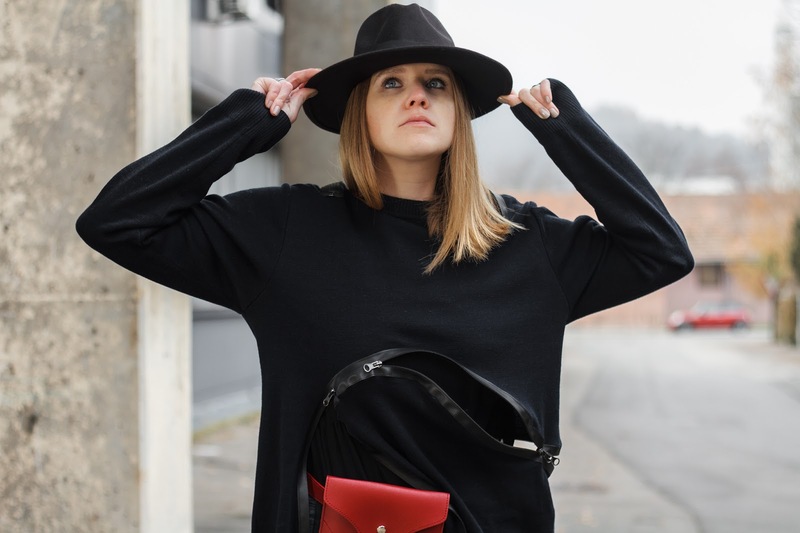 I often tend to go for the monochrome look, so I think that going for a bold bag instead of typical black was a very smart move and I will definitely be wearing it on repeat. I finish it off with a slightly different shade of red ankle boots to add just a little more colour. 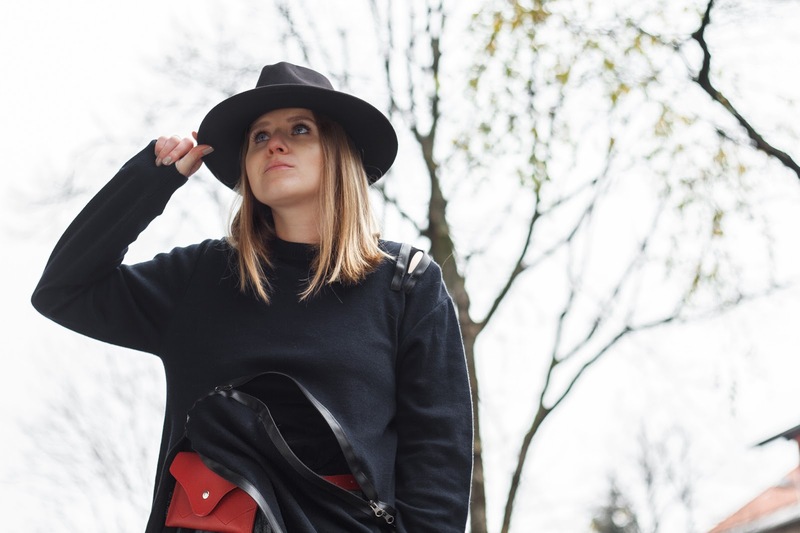 The fedora hat is also from Zaful. I was looking for a similar one for so long and this one is just perfect. It's important that it is not too soft so the ends of the hat aren't pulling down. Let's get back to the sweater. I have a new piece from the designer I love. I realized that for me it is more important to have the story behind every piece I buy. Petja Zorec pulls inspiration from her life, especially from her younger period which is very powerful and emotionally deep. For me, this sweater is pure perfection. It’s simple, yet super special with all that zippers … exactly how I like it and I know I will wear it a lot.